UAE-based logistics specialist, RSA National. 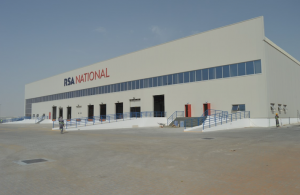 We are delighted to be supporting UAE-based logistics specialist RSA National (RSAN) at such an exciting time for the organisation, which recently opened a new flagship air cargo terminal at Dubai World Central. As a leading provider of CMS Hub Management System (HMS) and Hermes Business Intelligence (HBI), our goal is to help the company to optimise cargo handling capabilities at their new facility. We will be implementing the latest version of our Hermes application, Hermes 5(H5) in order to offer the latest best-of-breed functionality, a contemporary User Interface / User Experience and full integration with any cloud service. We expect the full SaaS Hermes installation to take place in under three months from contract to go-live. H5 will provide RSAN with its own, fully integrated management tool that will interface with its local community and customers to allow for smarter process flows, as well as messaging compliance. The Hermes implementation will also give RSAN more control over key areas such as Customs, Service Management, and Revenue Accounting, offering the supply chain specialist a single system that is configured to its needs and the requirements of its customer base. “RSA National is very pleased to partner with Hermes to provide a best-in-class platform, through which we can continue to provide seamless solutions to our customers,” said Abhishek Ajay Shah, Co-Founder and CEO of RSA Global.